Imagine operating a recession-resistant company. Imagine that this company specialized in food, during the global food crisis. Now imagine specializing in food and expanding during a crisis. As the world faces the challenges of food security, one company is successfully finding global opportunities; it is Indonesia’s largest food producer– Indofood. Indofood business group is the largest instant noodle producer in the world. Its instant noodle brand, Indomie, is the best known brand in Indonesia. Indofood has a wide business portfolio which includes consumer branded products, noodles, dairy, seasonings, snacks, nutrition and special foods, packaging, agribusiness, plantations, cooking oils and fats, commodities, and distribution. Since its establishment in 1997, Indofood has become an inseparable part of the Indonesian lifestyle. It has received much global prominence as well. Its main accomplishment lies in the strength of its brands. These include instant noodles (Indomie, Supermi and Sarimi), dairy (Indomilk and Cap Enaak), wheat flour (Segitiga Biru, Kunci Biru and Cakra Kembar), cooking oil (Bimoli), and margarine (Simas Palmia). Despite intense competition, these brands remain market leaders with a reputation for quality, and are also very well accepted by various market segments. 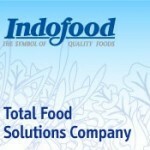 Indofood is nearing its vision “to become a total food solutions company,” through several savvy business strategies. In 2005, the company settled a joint venture with Nestlé and the acquisition of several plantation companies. From 2006 to 2008, the company continued to acquire several shipping and plantations companies, strengthening its agribusiness and distribution. In 2008, the company expanded its reach and entered the dairy sector. The following two years, ending 2010, witnessed a major internal consolidation overhaul, and PT Indofood CBP Sukses Makmur (“ISM”) (BEI : INDF) was formed. President and Chief Executive Officer Anthoni Salim revealed that the company was performing solidly and had achieved sustainable growth for six years beginning in 2005. The results reflect the strength of the core business and management skills in addressing opportunities and challenges in the market. Despite the recent bout of food shortages over recent years, Indofood has proved resilient and has maintained a wide control over its supply chain. Due to such confident sutures in holding the company together, a positive outlook remains in tact in facing the current food shortage and price surges of raw material. It may very well be that being such a large player, Indofood’s safety net is its economies of scale, allowing the company – to a certain extent – to control the prices in the sectors where it bodes as a market leader. Through lifestyle changes, Indomie, the instant noodle brand of the company has become its biggest success, hinting that the staple plate of rice is beginning to play second fiddle to many household menus. Indomie has won a variety of prestigious awards such as Consumer Satisfaction Award Indonesia, Indonesia Best Brand Award, and Top Brand Award. In 2009, Indomie also clinched the Most Powerful Distribution Performance Award. The success of Indomie is a result of the three A strategies; (1) acceptability of the product; (2) availability through distribution networks, and (3) affordability, reflected in Indomie’s retail prices. Currently, Indofood is the largest player in the instant noodle market in Indonesia, as well as the biggest company in the instant noodle industry worldwide. Last year, Indofood started to build three new factories to increase the number of instant noodle production to 17.74 billion packs per year. The factories are expected to be completed in 2013. For all those who have wondered when and how the $1 trillion+ Islamic Finance industry and the estimated $640 billion+ world-wide ‘Halal’ food industry will ever connect—we hopefully now have a tool that will kick this off. ThomsonReuters, in partnership with IdealRatings, have recently launched the SAMI Halal Food Index (Socially Acceptable Market Investments) which is a collection of food industry companies listed on OIC (Organization of Islamic Conference) member country public markets and screened for Halal compliance. This Index has turned part of the Halal food market into an asset-class and made them approachable to the usually risk-averse Islamic Finance industry. As large and real the Halal food industry is, it’s ironic very little Islamic Finance investment or transactions have taken place in the sector. Conversely, the Halal food industry, which by definition is adhering to Islamic principles, has for the most part ignored Islamic compliance of their financing. Furthermore, they are forgoing an available and compliant capital source that Islamic Finance can provide. This first of its kind Halal Food Index was unveiled at the opening of the World Halal Forum on April 4th, 2011 by Tun Abdullah Ahmad Badawi, former Malaysian prime minister. The visionary behind the Index, Mr. Rushdi Siddiqui, Global Head of Islamic Finance and OIC at ThomsonReuters, calls this the re-uniting of twins separated at birth. Here are some basic facts about the SAMI index and comments from Mr. Siddiqui on its relevance to individual investors, Islamic Finance industry, and the Halal food industry. The Socially Acceptable Market Investments (Sami) Halal Food Index is about companies involved in food processing, distribution, fishing, farming, etc. The companies in the index, at stage one, are from 15 OIC member countries, about 270 plus companies with market capitalization of $114 billion. What is the relevance of this Index to retail investors? Muslims, as consumers, already invest in these companies by buying their Halal products. Now they can be investors of such companies by purchasing shares in these companies directly or through funds. To those (Muslims) who have been saying investing in the stock market is gambling–investing in publicly listed Halal food companies in Muslim countries becomes a true investment vehicle for its own local/regional economies. Shariah compliance is not enough for many retail Muslim investors, there has to be more connectivity to companies if Islamic investing is going to make commercial bank depositors into capital market investors. For example, there are only 560 plus Islamic funds and total AUMs of $37B, and we speak about 1.6 billion Muslims, do the math! Islamic equity investors in the west have difficulties understanding why and how Microsoft, IBM, Apple, Pfizer, etc., are Shariah compliant, but they invest because (1) approved by a Shariah scholar AND (2) there is, at minimum, market performance. The dilemma of understanding becomes more pronounced in Muslim countries where investors typically invest locally or regionally, as they know these companies, use their products, etc. For Islamic finance, the Halal industry has generally been viewed as the (1) ‘kebabs for lunch’ and (2) as a business model deemed too risky for Islamic corporate loans. But, when Halal presented also as an asset class and about inward investments or even investment banking, it becomes an interesting conversation. One of the attractiveness of this Index is that it’s much easier to explain to the users/consumers of Halal products. In the west, typically consumers of products become investors of those companies. It may even go as far as HNWs buying these companies because the products are superior. Thus, we can now take this Sami Halal food index, 200 plus companies from the Muslim countries, and create a fund based on it for investors. These potential investors are also consumers of these companies’ products in their respective countries. For example, if I’m a fund sales-person tasked to gather investor’s money into the fund, the sales script is much easier than other Shariah compliant funds. The consumer will realize the credibility of the offering, because they are familiar with the company products. 1. To build factories where Halal food is ‘made,’ a true asset backed financing, an Ijara Sukuk makes sense, all things being equal to conventional loans/bonds and level regulatory/tax field. Thus, a Sukuk financed Halal food factory, is an end to end Shariah based solution! 2. Many of the Halal companies have been built/ financed by conventional debt, hence; fail the debt/asset or debt/market cap financial ratios of Shariah compliant screening. This presents an interesting opportunity to issue a Sukuk and refinance conventional debt with Islamic paper, hence, increase supply of corporate Sukuk and number of companies in the Halal food space that pass the Shariah complaint financial screens. Malaysia has shown this can be done, and has done it. For example, during my days at my previous employer, an index provider, PLUS, the major toll operator, was failing the debt screen, issued a Sukuk (aligned to AAOIFI standards) and sued proceeds to refinance conventional and BBA debt, hence, becoming a Shariah complaint company in the Islamic index for the country. IdealRatings has been screening companies for Sharia adherence for a number of years. They do research-based screening over the commonly used automated screening. World Halal Forum, along with International Halal Integrity Alliance, has full understanding of the Halal food process. The major challenges include: (1) excessive weighting of Malaysia’s Sime Derby, we had to put a ceiling on its weighting to 20 per cent; (2) free float is small for many companies and (3) illiquidity for many companies. These are common issues when investing in emerging and frontier markets. However, the more important point is that these companies, including the small capitalized companies, are now in the world’s first Halal Food Index, and are on the radar screens of investors. We expect investment products like mutual and exchange-traded funds will be launched off of the Index, giving consumers another viable avenue to invest. A Halal food fund may be easier to explain to the Muslim ‘woman and man on the street’ than Sharia compliant companies like Exxon Mobile, Pfizer or Procter & Gamble. As the index gathers traction over time in the marketplace, it will become a high-profile index, hence, an ideal marketing opportunity for investor relations department for companies in the index. It may even encourage privately held Halal food companies to go public to be included in the index.